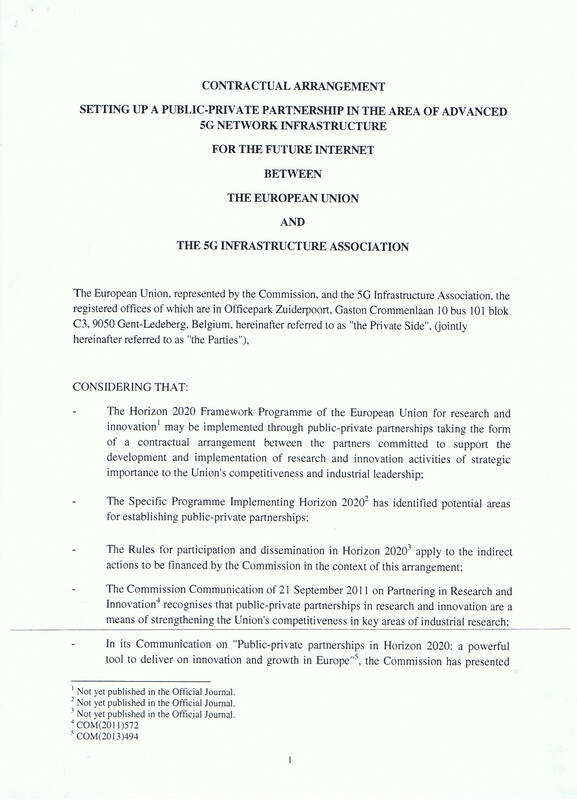 Horizon 2020 offers a new instruments called Contractual PPP (cPPP). 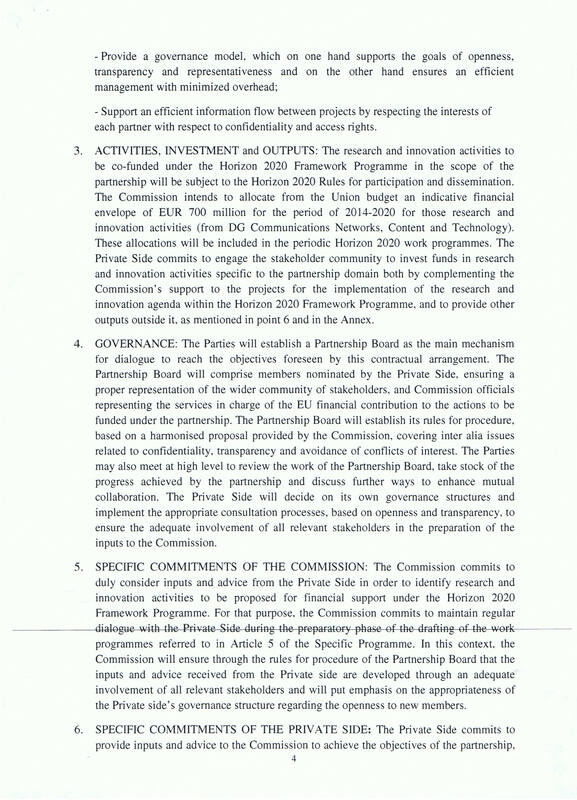 Article 25 of the EU Commission: REGULATION OF THE EUROPEAN PARLIAMENT AND OF THE COUNCIL establishing Horizon 2020 describes the conditions and requirements on these PPP instruments. Source: EU Commission: REGULATION OF THE EUROPEAN PARLIAMENT AND OF THE COUNCIL establishing Horizon 2020 – The Framework Programme for Research and Innovation (2014-2020) and repealing Decision o 1982/2006/EC. 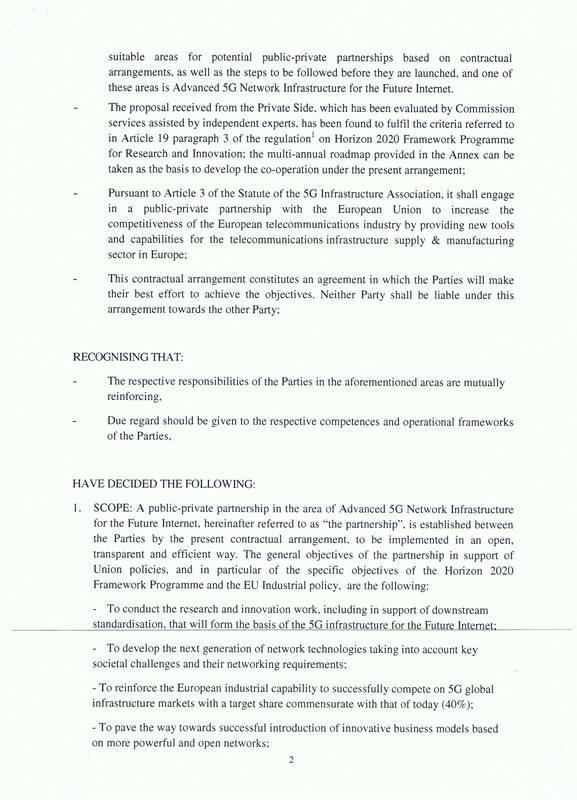 The 5G PPP is using this approach. 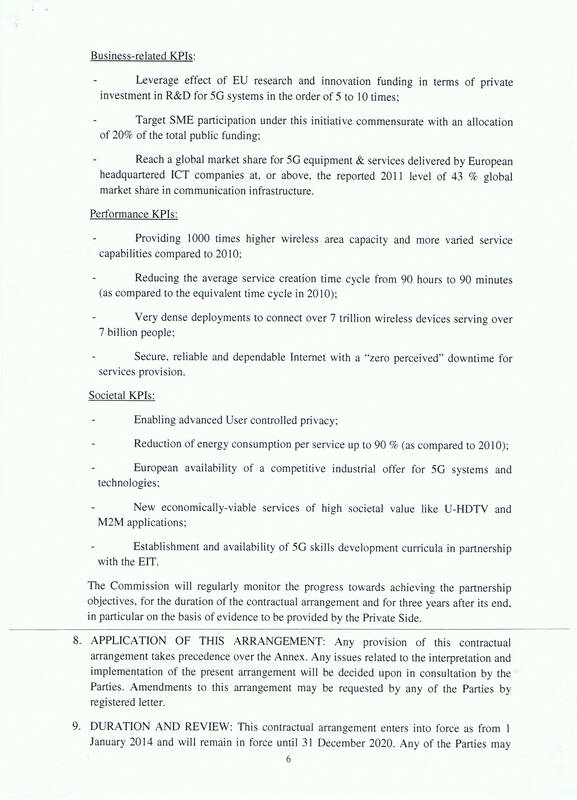 On December 17, 2013 the EU Commission and the 5G Infrastructure PPP signed the PPP Contractual Arrangement, which is describing the high-level ambitions, KPIs and the intended budget envelope of the PPP for the financial period 2014 to 2020. 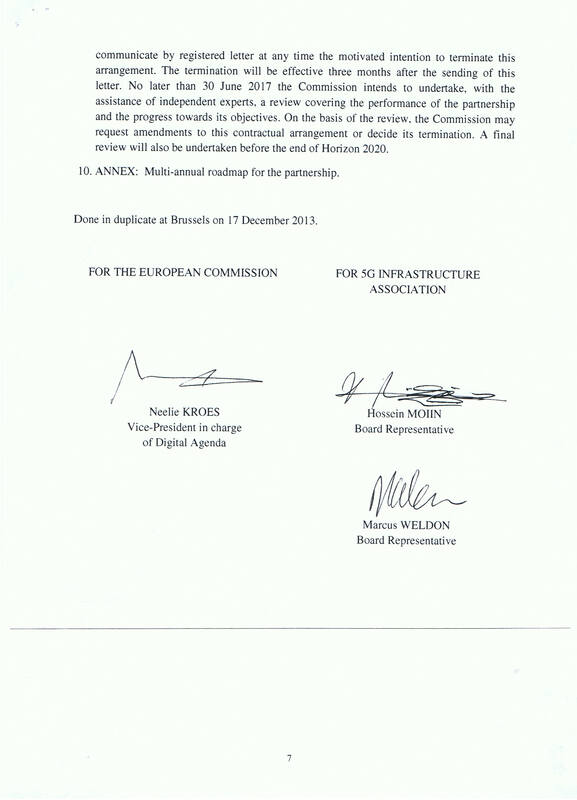 The 5G Infrastructure Association has be registered by a Decree of the Belgian King on December 15, 2013. In order to speed up the process for registration five founding members Alcatel-Lucent, Ericsson, NSN, Orange and SES were driving this process in order to fulfill the minimum legal requirements on associations in Belgium. Now the other members are added to the association according to the PPP governance model and the statutes of the association.